Does anybody know if the sand bar or Keeler bay is open. My plans are to be fishing this wednesday for my first outing of the year. Depends on what you are looking to catch. For Salmon as Fishy1 said the bridge or port henry to fish the area in and around bulwaga bay. 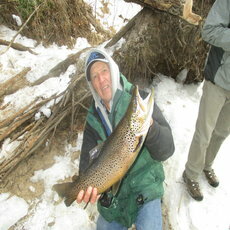 If you are looking for lakers, winooski river launch and fish the flat in front of the river. 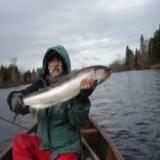 If you are looking for bass, most any launch will be fine, and basing location on weather will be a best bet. 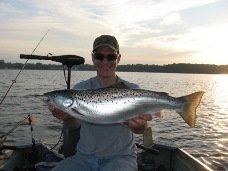 Also this time of year the launch in Mallets bay is a good one for multi species action, Bass, Pike, Salmon, Lakers, pretty much everything can be had withing a 10 mile boat ride in different areas outside that bay. Any updates on Westport Launch/ are docks in/free of ice etc? MeanGreen wrote: Any updates on Westport Launch/ are docks in/free of ice etc? no docks in and ice has been out. newbee wrote: Does anybody know if the sand bar or Keeler bay is open. My plans are to be fishing this wednesday for my first outing of the year. As flyguy said, Apple Island launch is open and Keeler's Bay is ice free. There was a LOT of debris in Keeler's on Sunday, though! Very large sticks, lots of leaves, a plastic bag that tried to drown my board, etc, etc. Had to constantly clear the lines and boards of crap. Also, there was still a lot of ice east of Cedar Island, so no fishing over by Eagle Mtn / George shore yet. Dock Doctors were installing the docks at Converse this afternoon. Hows Port Henry launch looking? Everyone just using the wall at this point? I'm assuming no docks have been put in yet?